Loose The Shirt – Win The Battle! It’s funny how friendships develop. You never really know until it is too late and you’ve gone and made a new friend. One such friendship was struck up purely by accident. A couple of years ago when we started to build up the rig for off-road adventures, I went looking for a shop that focused on Toyota trucks with a reputation for quality work and great service. I found Metal Tech 4×4. From the start there was something about Mark’s quiet confidence, patience and deep knowledge of all things Toyota Land Cruiser that struck me. Mark chatted with me for hours about our plans for the rig, explained where he thought we should focus our mods and how to best prepare for the perils of off-road travel. Mark took the time to explained the pros and cons of different suspensions, how to approach obstacles with an IFS vs. a solid axle, and even where to look for other resources. At the 2008 FJ Summit Boy and I had a chance to wheel with Mark and LT. To this day Boy still comments how much fun he had on Day 6 Blue Bunny, thanks to Mark and LT’s ability to make a 14 year old boy feel like one of the guys. Since then I’ve had a few chances to swing by the shop and it never fails that we spend a significant amount of time catching up. Sure we talk about Land Cruisers, wheeling and upcoming activities. But we also talk about our lives, kids and the zen art of small business management. Only another entrepreneur can understand what its like to bet on your own business skills and stare down the responsibility of being the accountant, sales guy, bill collector, product developer and head bottle washer. When I talk business with Mark his passion for creating quality products that allow others to enjoy off-roading as much as he does, really comes out. But you still have to pay the bills and not too long ago Mark told me his story: “Loose The Shirt – Win The Battle”. Intuit, the guys who brought you Quicken software, are running a competition for users of their business software. The competition involves writing a story about your business and exposing yourself to the public vote for best story. The top 50 stories will move on to the next phase of the competition with the winners eventually receiving cash grants to build their business. Vote on the story as Inspiring, Useful or Funny… did you vote yet? how about now? NOW? You will need to register with Intuit in order to vote. It only takes a minute and you’re not having to give up any family secretes. No emails, no waiting just sign up, vote and done… It’s that easy and a minor price to pay for the opportunity to make a big deposit in your good wheeling Karma account. Remember… Vote Early… and Vote Often! Thank you for helping a friend out and the next time you find yourself in Newberg, OR. 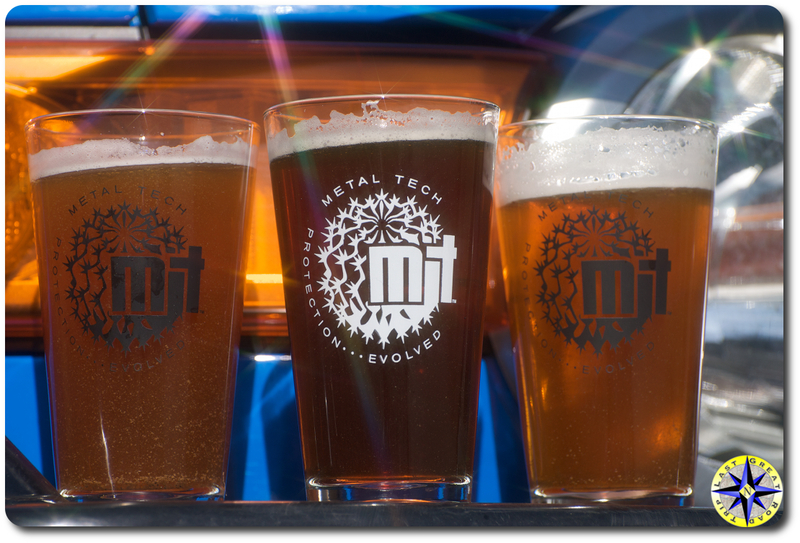 say hi to my friends at Metal Tech. You just may strike up a friendship of your own. I have to agree with you, Mark is a great guy. I really havent talked to LT much, but I can talk to Mark for hours and hours. He showed up on a Saturday to meet my wife and I for the first time, and we spent half the day just talking. He’s a great guy, very friendly and we look forward to doing more business with him in the near future. thx Rueben… Yeah it is great when you meet someone who wants to help and not just sell you something. No, wait, I did it for the karma. Really. I do like to see people succeed. Wow maybe I should ask for more… Thanks for voting, they really are good guys. And remember you can get anything you want… as long as you help enough other people get what they want! In that case, I will email you my mailing address so that you can send me that iPhone. You’re the BEST, Paul, the BEST.